“The future of TV” has become a buzzword over the last few years – but what if it was time to stop talking about it and acknowledge that the future has already arrived? If you’ve watched ‘TechStars‘ on Bloomberg TV, you certainly remember the team behind Shelby.tv. Its co-founder Reece Pacheco and his team were key characters in the reality show about the accelerator’s latest batch of startups. We’re using the word “character” on purpose, as some TechStars’ alumni complained that the show had distanced itself from reality multiple times for the sake of drama. Reece’s team was one of the startups that weren’t painted in the best light by the show; it focused heavily on the team’s pivot from a sports-related project to social TV, making it sound like an afterthought. If it were a hundred percent true, the team would likely have failed. Instead, it ended up creating Shelby.tv, which turned out to be a great product to help you “experience videos your friends are sharing” on social networks (see our previous post ‘Shelby.tv just made watching videos on Twitter wicked awesome‘). Its Chrome app already made it to Chrome Web Store’s landing page – and there’s more coming. As the team announced this week, Shelby.tv released its public beta, and its app is now available on the iPad and the iPhone. 2. Apple “producing its own TV”, disrupting the market? According to Fortune, Apple met with manufacturers in January to secure LCD supplies. According to Gene Munster, it’s likely by now that Apple has already produced prototype TV sets, which could even integrate voice controls à la Siri. If famed Apple analyst Gene Munster can be trusted, this could obviously have a strong impact on the smart TV market and its growth. This would also open a new line of business for Apple. Indeed, Munster is convinced Apple could sell 1.4 million television units in 2012, adding $2.5b or 2% to revenue in that year. The blow to Neflix was even worse than expected; according to its Q3 results, the DVD rental and streaming company lost 800,000 US subscribers in three months (see our post Netflix’s Q3 results underperform domestic expectations. It already knew it would pay the price for its mistakes, namely its controversial price hike and its aborted tentative to split its business in two. However, it hadn’t fully realized how bad the results would be – nor had its shareholders until the numbers were released. If you still needed a proof that Zeebox’s team is not the only one to believe in the app’s potential, iTunes made it its App of the Week in its UK Store. It also has appeal for the TV industry: according to PaidContent, Zeebox’s CEO Ernesto Schmitt is convinced that broadcasters and advertisers will show interest in the app as a way to drive engagement, while producers will be keen on getting minute-by-minute data on how their shows perform. While Google TV generated huge expectations at the time of its launch, it hasn’t taken off in mass adoption. However, that may be about to change – or so hopes Google. The company released a major software update for its product yesterday, in an attempt to correct flaws from the first version. According to Google TV’s official blog, finding content will now be easier and the new interface will be simpler – many testers had complained the first devices were too difficult to use. Apps also make their entry, as users will be able to access the Android Market, where they can already find an initial batch of 50 TV-optimized apps. The updated Google TV software will also include a new, tailored YouTube version, in which any topic will become a channel, confirming Google’s desire to transform its video portal into a “leanback” experience. This isn’t the only way watching YouTube will be similar to watching TV. Indeed, Google announced yesterday that YouTube would partner with dozens of content creators to bring quality original programming to the platform. 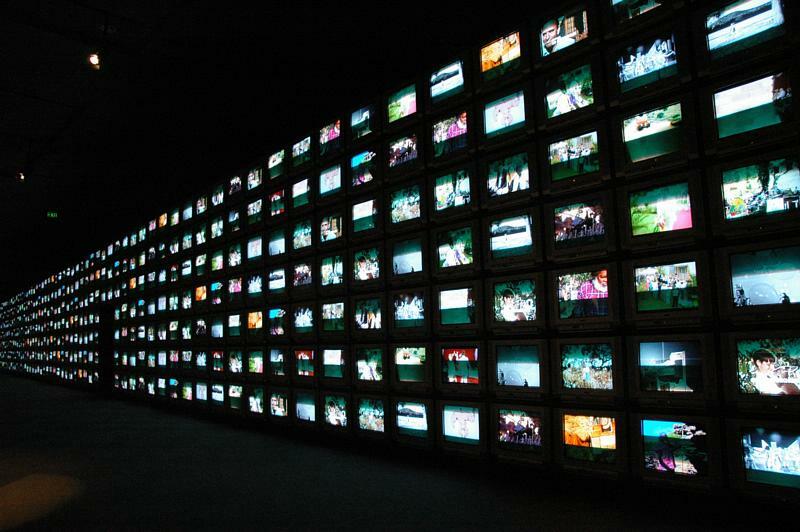 Which of these news represent the best what will be the future of television? Let us know in the comments.